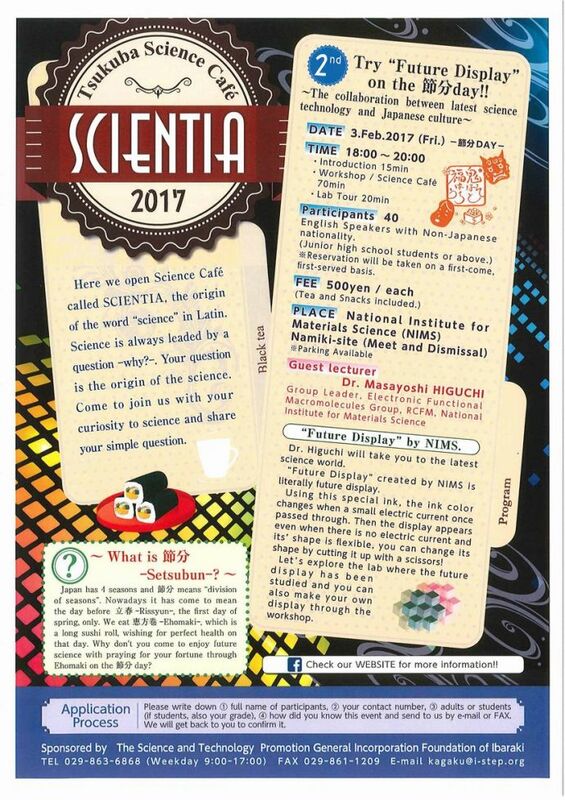 Hello, 2017 new event Tsukuba Science Cafe will open soon! Here is the details below. Please check it. English Speakers with Non-Japanese nationality highly welcomed. Workshop and Lab Tour provided.